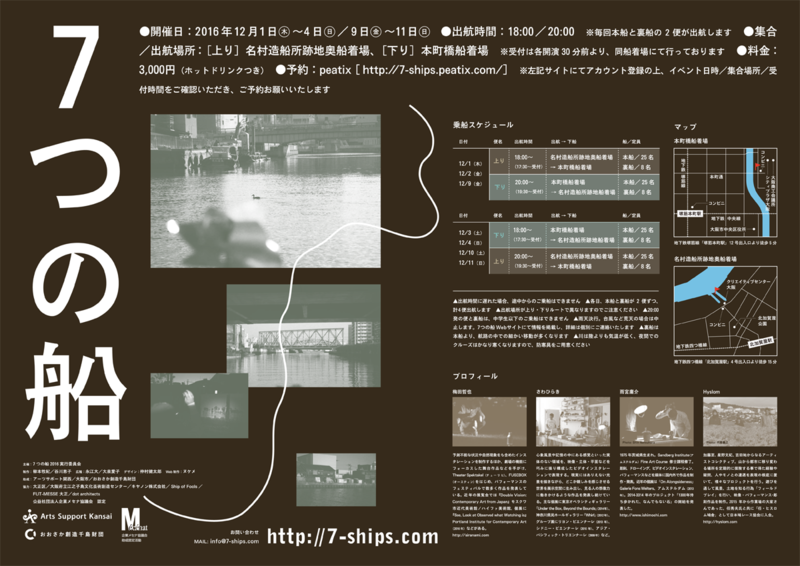 Tetsuya Umeda's "Seven Ships” is a sequel piece of the night boat cruise "Five Ships" performed in last November in Osaka. Historically, city of Osaka has been known as water city and this cruise takes the audience to the deep back sides of city where only accessible by water channel. 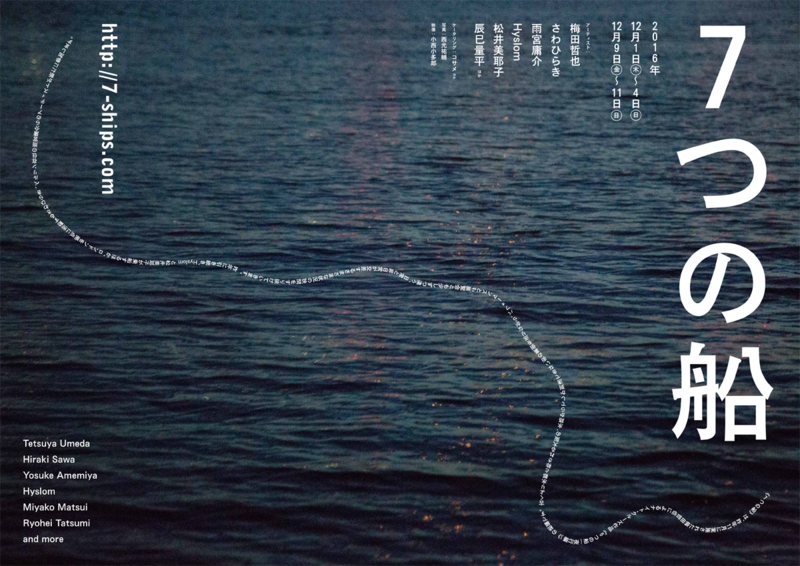 It is neither the performance nor the exhibition, this boat cruise will offer an encounter where ordinary and extraordinary cross over and the boat will sneak through the scene. In addition to Hyslom and Miyako Matsui from last year, two artists, Hiraki Sawa from London and Yosuke Amemiya from Berlin will join the boat. Copyright(c)2017 Yosuke Amemiya All Rights Reserved. 7つの船 2016/12/11 from 7つの船 2016 on Vimeo.